Visa, the official payment sources provider of FIFA, is expanding its global football portfolio to connect with fans worldwide with more one-of-a-kind experiences. Building on its sponsorship of 2018 FIFA World Cup Russia, Visa will have an expanded presence in new women’s football events across Europe, as well as the premier men’s tournament in Africa. Visa cardholders have access to an exclusive presale for FIFA Women’s World Cup France 2019 tickets starting Dec. 10. In other sports marketing partnership news, NASCAR announced a collaborative esports initiative with the Race Team Alliance that will result in the first-ever professional eNASCAR racing series for consoles (PS4 and Xbox One). The league will be known as the eNASCAR Heat Pro League and will utilize the NASCAR Heat 3 game. Real NASCAR teams including Chip Ganassi Racing, Hendrick Motorsports, Joe Gibbs Racing, JR Motorsports and Team Penske will all field teams in the series and will pick drivers based on a draft slated to be held in early 2019. 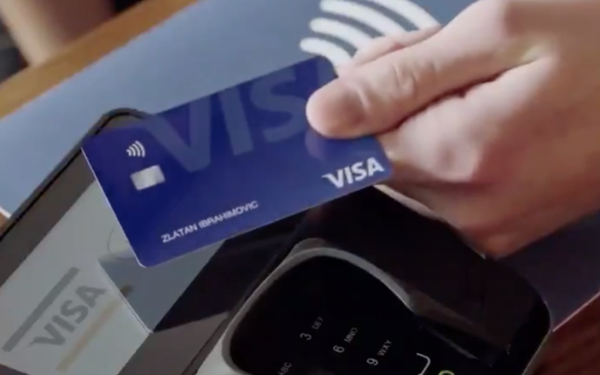 As for Visa and football, by tapping into the strength of the Visa brand and its influential role for fans in football, Visa will help to further elevate women’s football and these regional tournaments, says Chris Curtin, chief brand and innovation marketing officer, Visa Inc.
“Visa has strategically positioned itself at the center of football,” Curtin says in a release. Visa is partnering with the UEFA Women’s Football Competitions through 2025 to continue its efforts to inspire and empower women, as women’s football continues to grow at all levels. Visa also announced its partnership with CAF as a sponsor of the Total Africa Cup of Nations tournament in 2019 and 2021.